We are the ultimate Dance & Club Band. We are a sensational & professional Corporate, Wedding and Function covers band. Performing as a 5-piece band with two female lead vocals. Live we use Keys, Synth with all the Horne and percussion parts, backing vocals, Bass and Drums. We also come with a sound guy at each gig. We pride ourselves on being professional and easy to work with and do everything we can to provide what you want for your evening and on top of the professional and slick show the band plays with infectious energy and enthusiasm, that ensures a packed dance floor all night! We represent only the most accomplished, exciting and professional wedding bands in the UK; so whether it's an afternoon jazz trio you're after or a lively evening party band, we have an array of options to suit your specifications. As a UK wide wedding band agency, we cover every corner of the country - from London, Kent and Essex to South Wales, Cheshire, Liverpool, Cumbria and Newcastle. Our live function bands cover popular music from every generation including jazz and swing, 50s rock 'n' roll, 80s pop, 90s dance and contemporary pop music from the past decade. Since 1999 we've been helping couples just like you find and hire the nation's favourite wedding bands and entertainers. We place a small roster of hand picked and highly rated bands and entertainers at your disposal. Our website offers instant quotes and availability. All the acts we represent have HD video, audio demos and customer reviews. Our site is easy and fast to use both on mobile or desktop and we have a team of 11 highly experienced entertainment professionals ready and waiting to look after you from your initial enquiry right through to the day of your wedding and beyond. Discover your dream wedding entertainment with Entertainment Nation! Whether you're looking for a band to rock your reception, a magician to delight your guests or a string quartet to provide the perfect romantic backdrop to your ceremony, you'll find all this and more with Entertainment Nation. Hundreds of amazing acts, expert advice and secure online booking; what more could you ask for from your wedding entertainment agency? There is a certain energy and excitement when booking Apollo Soul, we are repeatedly told by clients how memorable their event was due to having the band play! So What’s the Secret…..? Well – We love what we do and work round the clock to ensure the very highest standards are delivered. Ultra 90s – It’s the only show of its kind. Take a nostalgic journey back to the unforgettable era of 90’s Dance Anthems and Club Classics. Fresh, new, unique and not to be missed! With various formats available. Call us NOW!! 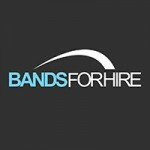 Bands For Hire is a live entertainment agency based in Northamptonshire. We represent a wide and varied range of bands and wedding musicians across the UK; from harpists, string quartets and guitarists to soul bands, tribute bands and more. The Blue Lion Band are fully customisable 2- 14 piece live band who focus first and foremost on weddings, but are also involved in some of the UK’s biggest events and festivals. The Blue Lion play a wide variety of tunes, but their trademark specialty is up-tempo festival-style music – capable of everything from chart classics, funk grooves, soul, swing/jazz to current top 40 and dance hits. They pride themselves on having a “cooler-than-average” song list that is never cheesy, and focuses squarely on filling the dance-floor. The Blue Lion Band’s extensive repertoire allows couples to take full control of their wedding entertainment, working with their tastes and their budget to create their dream wedding band. 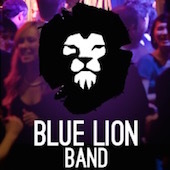 The Blue Lion Band provide a free demo CD, as well as performing regular live showcases. They encourage couples to attend live showcases before booking a band for their, as it gives a true understanding of the look and feel of the band live in action as compared to a CD or video, which can be worked to make a bad band look good, or can also make a good band look bad. Nothing compares to the real thing! The Junos are a modern dual-fronted, 5 piece party band performing everything from 90s dance and rave classics to indie/rock anthems. Awesome male and female vocals, screaming guitars, anthemic synths and driving drums – you’re in for a night to remember! De Amour are a 5* Fantastic, Feel-Good Party band who have flawlessly entertained audiences throughout the UK, Europe, USA & China! Members have performed and toured with artistes such as Lemar, Will Young, Beverley Knight, Shayne Ward, Jools Holland & more! De Amour are a 4 piece party band based in the Midlands but travel all over. Their feel-good repertoire covers Soul, Funk, Motown and Pop guaranteeing you and your guests an amazing time on the dance floor! The Suits are the No.1 choice for a wedding or celebration. With a set list spanning 60 years you can expect to hear Kings of Leon, Plan B, Amy Winehouse, Erasure, Abba, Elvis, The Beatles and you can expect your dancefloor to be full all night long! We are ‘The Live Piano Experience.’ All our music is totally live. A complete, affordable, live experience for your wedding! Our state of the art keyboards and powerful vocals, together with a live drummer create a dynamic, energetic sound, capable of many musical genres from 50s rock’n’roll to present day chart hits. We appeal to all ages and have years of experience performing to all from 18 to 80. Our white, high gloss baby grand pianos add a stylish look to any wedding venue and will help to make your wedding stand out from all the rest! AmpliFive are a live band based in Scotland. We’re out to bring some youth and vibrancy to any wedding or civil partnership. Featuring five talented and dedicated musicians you can expect excellence at every turn, from five male and female lead vocalists to five part harmonies. Wedding entertainment at it’s finest with the silky soulful voice of AJ Lewis. Pop, Soul, Motown, Jazz, Disco and Dance. AJ can perform Solo or as Duo, Trio, Quartet and Quintet Band, DJ Packages available. AJ has starred in various West End Shows including the Smash hit musical ‘Thriller Live’. AJ can perform anything from background reception music to a high octane vocal performance to get all your guests partying on the dance floor! PA system for up to 300 guests and disco lighting. AJ has had a civil partnership himself and definitely knows how to set the right atmosphere on such a special day!